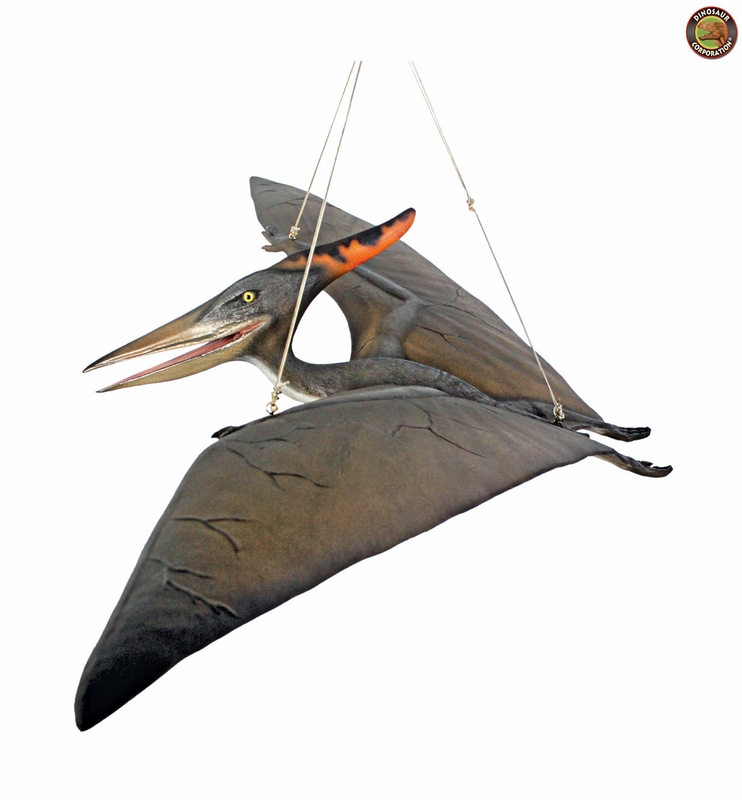 Home | STATUES | Pteranodon Scaled Dinosaur Statue 59"
Pteranodon Scaled Dinosaur Statue. Our prehistoric, suspended replica Pteranodon dinosaur statue is cast in quality designer resin, reinforced for supreme strength with fiberglass and hand-painted with powerfully convincing color and texture to be as faithful as possible to the form of its ancient species. With wing span of nearly five feet, it hangs perfectly balanced from heavy-duty wire, ready to be displayed in your home gallery.